Research demonstrates this powerful antioxidant Lipoic Acid benefits individuals with: Diabetes (aids in insulin utilization and prevents complications), Cataracts, Macular degeneration, Glaucoma, Neuropathy. Vascular disorders (ie. varicose veins, cold hands & feet), Liver disease, Heart disease, Arthritis & Asthma! Alpha Lipoic Acid is 50 times more potent as an antioxidant as Vitamin E or C!!! Groundbreaking News! Alpha-Lipoic Acid Aids in Weight Loss and Metabolic Syndrome!! Earlier in animal trials, alpha-lipoic acid caused weight loss, improved insulin resistance and elevated cholesterol and triglycerides, as well as lowered blood pressure, all of these being components of metabolic syndrome (pre-diabetes). A holistic physician, Jesse Stoff, M.D., director of IntegaMed in Tucson, AZ, says hepatitis C is a treatable and often reversible condition. He gives detailed description of a case in which it was cured with natural remedies and supplements. He lists alpha lipoic acid as one of the supplements that should be taken. He says, "[ALA} is always useful in treating chronic liver inflammation". According to Dr. Stoff, ALA occurs naturally in potatoes, carrots, yams, sweet potatoes. He reinforces that when given as a supplement it can increase the body's production of glutatione, an enzyme that protects the cells from damage by harmful free-radicals. Overall Alpha Lipoic Acid is considered to be a very important anti-oxidant and very important in treating chronic inflammation of the liver. If liver enzymes are elevated, this is recommended, along with Milk Thistle. In addition to your basic lifestyle changes, including eating a healthy diet and exercising, taking nutrients is one of your best defenses against a fatty liver. When you’ve eaten a poor diet filled with sugar and processed fat, it creates oxidative stress throughout your body. And one of the primary causes of fatty liver disease is oxidative stress. Oxidative stress occurs when free radicals damage the tissue. This results in chronic inflammation. Even if you stop the flow of foods that cause oxidative stress, your body still has to heal. And it needs nutrients to do so. 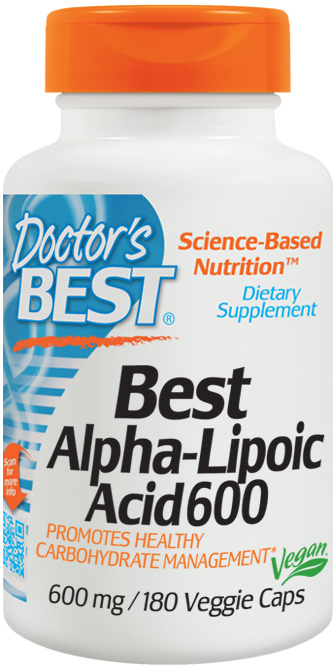 One of the best is alpha-lipoic acid (ALA). ALA is an antioxidant powerhouse that helps recharge vitamins C and E.
One recent study looked specifically at how effective ALA is at treating oxidative stress in mice with fatty liver disease. In the study, researchers divided mice into three different groups. The first group ate regular mouse food. The second group ate a diet designed to increase oxidative stress. And the third group ate this same diet, but also took 100 mg/kg/day of ALA. After two weeks, the researchers took liver samples and examined them for pathohistology, oxidative stress parameters, antioxidative enzymes, and liver free fatty acid (FFA) composition. In all of these areas of examination, the researchers found that the ALA significantly decreased the damage done by the diet. But that’s not all ALA can do. It helps regenerate damaged liver tissue. Julian Whittaker, MD tells the amazing story of a couple from Cleveland, OH. Back in 1977, the couple unknowingly ate the deadly poisonous amanita mushroom. The poison threw both of them into liver failure and would have killed them if not for the open-minded doctor on call. Burton Berkson, MD was a medical resident at Case Western Reserve. He had never had a patient die under his care. It looked like he would have two die in one day. The hospital had nothing to offer. Dr. Berkson didn’t just give up. He called Fred Bartter, MD at the National Institutes of Health (NIH) to see if he had any suggestions. Dr. Bartter mentioned ALA. He said it had helped animals with severe liver damage. So Dr. Berkson began administering intravenous ALA to the couple. The impact was immediate and miraculous. Not only did it stop the liver damage from killing both of them, it stimulated complete and rapid liver regeneration. It worked so well, the couple was discharged from the hospital just two weeks later. Both of them were in good health and lived another 36 years, well into their late 80s.